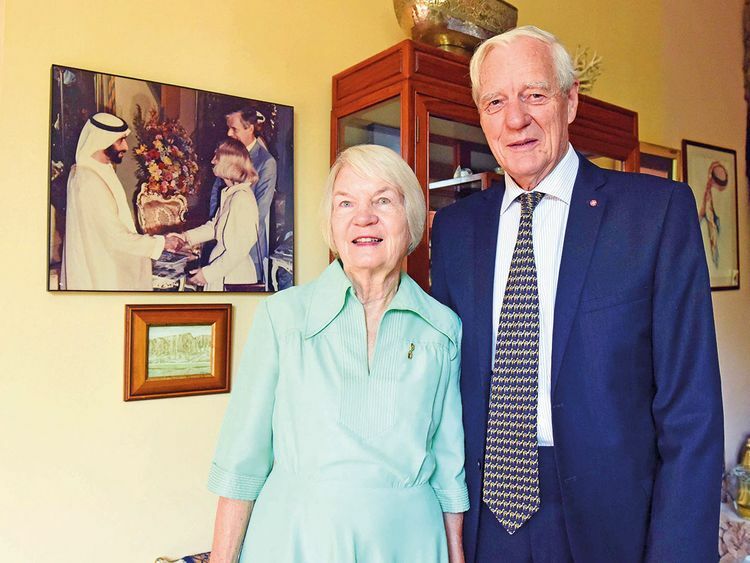 Abu Dhabi: Abu Dhabi: A British national who has been in the capital for 55 years, says the UAE’s friendly and tolerant society was instrumental in making him stay on after his retirement 12 years ago. Now on the occasion of the Pope’s visit, David Heard, 79, says he is delighted that the UAE has once again drawn global attention for the same reasons that inspired him to stay back. Heard, who arrived in the capital in August 1963, joined the Abu Dhabi Petroleum Company (ADPC) as a petroleum engineer. When he retired in 2006, after occupying key positions in the same company for 43 years, he was clear about his future plans. “I am extremely grateful to all my Emirati friends who treated me well all these years. I decided to continue living here as a tribute to their friendship,” Heard told Gulf News. “The Pope’s visit is important as it shows the UAE’s respect for all religions and communities,” he said. “I still remember St Andrew’s Church’s dedication ceremony conducted by the Anglican Archbishop of Jerusalem on February 15, 1968 in the presence of the late Shaikh Zayed Bin Sultan Al Nahyan, founder of the UAE,” he added. He said there were only 20 or 30 people during the inauguration of the church, but the numbers have grown into hundreds over the years. St Andrews Church celebrated its 50th anniversary on October 3, 2018. The church now shares its premises with many other Christian congregations from across the globe and is awaiting expansion into two more branches — one in Al Ain [named St Thomas] and another in Mussaffah [named All Saints]. The All Saints Church in Mussaffah is expected to be the region’s largest Anglican Church. The under-construction building is 50 per cent complete on the land donated by President His Highness Shaikh Khalifa Bin Zayed Al Nahyan. Heard said his German wifek, Frauke Heard-Bey, joined him in Abu Dhabi in 1967 and started working with the National Centre for Documentation and Research in 1969. After retirement, Heard dedicated his life to research and writing about the history of oil in the region. His book “From Pearls to Oil”, published in 2011, narrates the forgotten story of how oil companies first came to Abu Dhabi. “Now I am working on a second volume of the book, which will be published soon,” he said. Heard has had an active social life since the early years. He was associated with the British School Al Khubairat since its inception in 1968. Later, he served as chairman of the school’s board of governors for 21 years. Queen Elizabeth honoured him and recognised him as a Commander of the Order of the British Empire (CBE) in 2000 for his contributions to the oil industry and the British community in Abu Dhabi.